Regal Blooms and Spotted Foliage! One of the tallest calla lilies we've found! 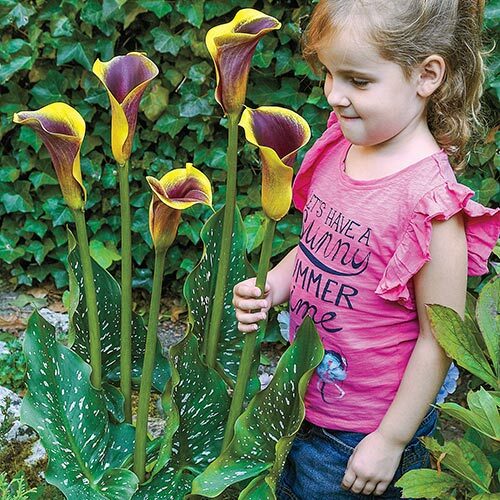 Growing up to 32" tall with huge blooms, these calla lilies create a royal touch in the garden. The burgundy-purple, funnel-shaped blooms are elegantly edged with yellow. And, rich green, lanceolate leaves with white spots add to their charm. 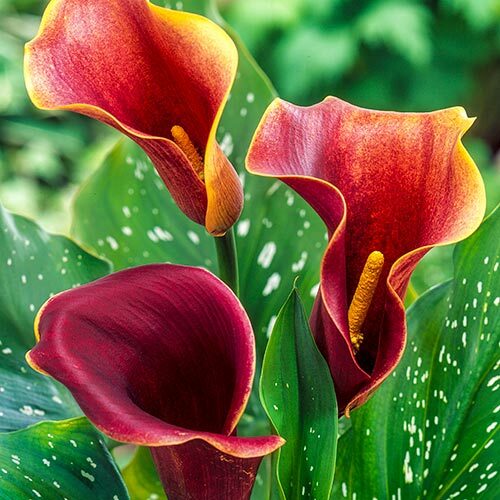 Whether in the garden or a patio container, this huge calla lily really stands out. Foliage TypeRich green, lanceolate leaves with white spots. Winter CareIn areas that go below 20 degrees F, lift in fall and store in a frost free location for the winter. 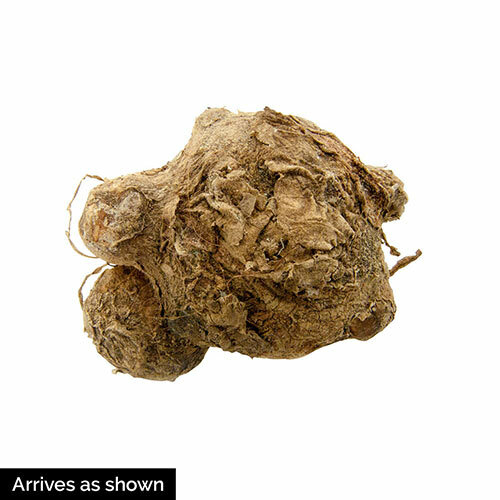 Plant out the following spring after last frost.